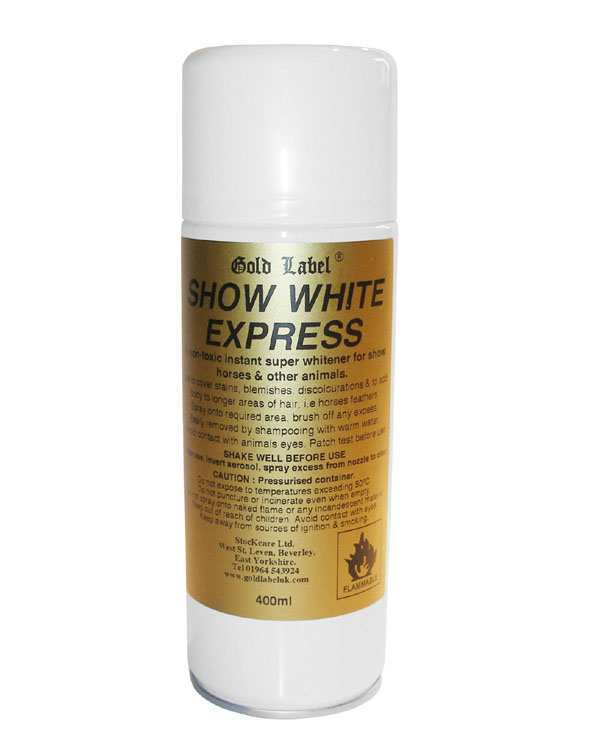 The Gold Label Show Black Express Spray is a non-toxic aerosol spray for show horses. Used to cover discolourations, stains, blemishes and to add body to longer hair such as feathers. Spray onto required area and brush away excess. It can be removed easily by shampooing with warm water. There are currently no questions for Gold Label Show Black Express Spray for Horses - be the first to ask one!